Are all of your forklift operator’s certificates up to date? Fines recently issued for non–compliance are in excess of £1/2 million. MHA Training offers an extensive range of forklift training courses and can tailor them to suit the needs of the individual or the business. On successful completion we can issue an RTITB Accredited forklift certificate or an In-House forklift certificate. 1 Day Forklift Refresher Training. 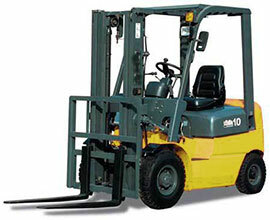 2-3 Day forklift Training (Experienced Untrained). 3-5 Day forklift training (Novice). 1-2 Day Forklift Training Conversion Courses. All forklift truck training courses include certification (licence) and registration onto NORS (National Operator Registration scheme). More information is available on the RTITB Website. All of these training courses are designed to meet the requirements placed upon employers with regard to their duties under the Health and Safety at Work Act. The Provision and Use of Work Equipment Regulations (PUWER), the Lifting Operations and Lifting Equipment Regulations (LOLER) and other relevant regulations and approved codes of practice. The main Approved code of practice is L117 – Operator Training. MHA Training follows this fully and more. On completion of a forklift training course the Forklift Certification or licence will be endorsed by the RTITB and can be tailored to suit all of your companies needs. In-House specific training is also available. Novice - For a forklift truck operator with little or no experience of forklift truck operation. Existing / Untrained - For a forklift operator who has not had formal training but has Counterbalance truck operating experience. Refresher - For an flt forklift operator holding a recognised certificate with approximately 3 years operational experience of Counterbalance Forklift truck. Conversion - For a forklift operator holding a recognised licence on one truck type looking to be trained on a counterbalance flt forklift truck. Please feel free to view or download the Course Syllabus below. See what is covered and find the most relevant training course for yourself or your employee’s. Also feel free to download our Operators Safety Guide. If you are unsure as to what training you require please fill in the form on our Contact Us page, call us on (01925) 446718 (office) or 07862230077 (mobile). Alternatively you can email us at info@mhatraining.co.uk. We will be more than happy to assist or come and assess your current records free of charge to ensure legal compliance. Click here to enquire about our Forklift Training Courses.